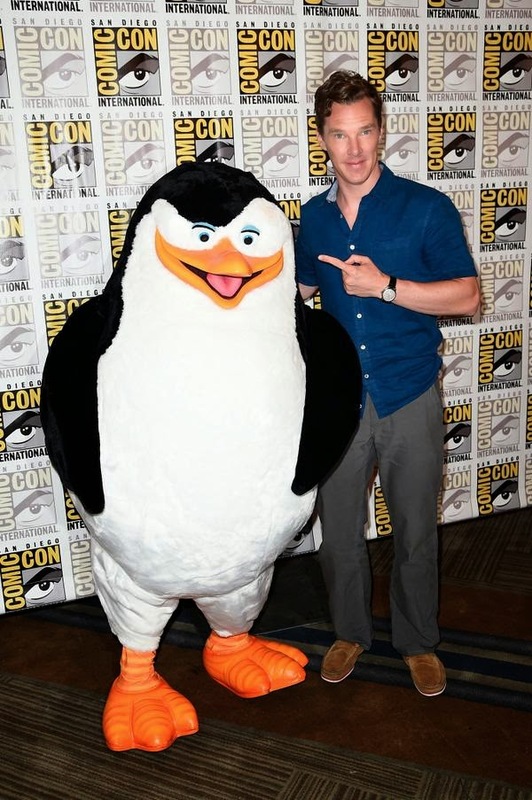 Benedict Cumberbatch, who does the voice for the Wolf in Penguins Of Madagascar, poses with one of the penguins at the Penguins gallery at Comic-Con. There is quite a bit going on in this short clip, but we're going to wait to go over it, just be thinking about it (for example: Rico keeps "spitting out" things like the chips and now the Medusa serum; why? Why does David not know how to work the computer?). 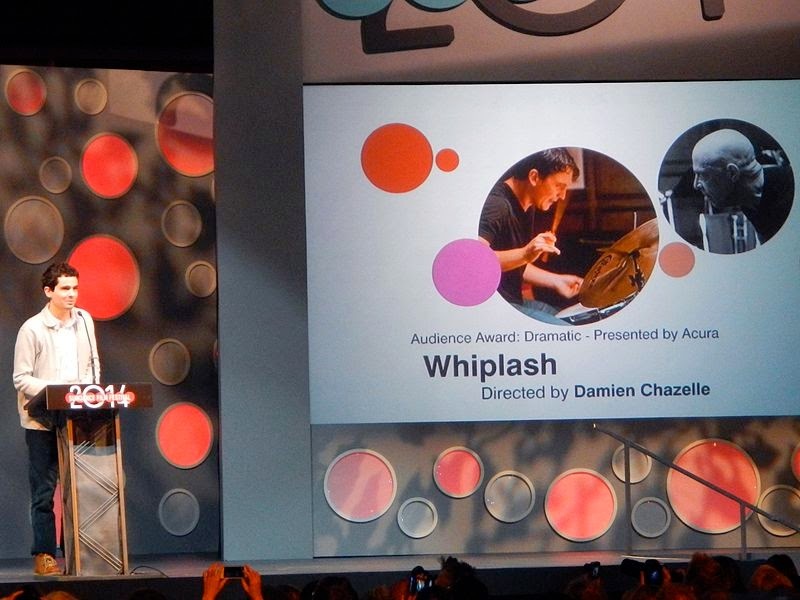 Whiplash won the US Grand Jury Prize: Dramatic and won the prize Audience Award: US Dramatic at the 2014 Sundance Film Festival; it's also scheduled for viewing at the Toronto Film Festival. Why is this important? Film makers know what their peers are doing and working on, so referencing a film like this is a heads up for us, the viewers to also view the film. If you will recall, and I know you do because you are the educated viewer at films, when Quicksilver was breaking Magneto out of the Pentagon, Quicksilver held the back of Magneto's head because Quicksilver knew that, when the door opened, he would dash out of there with Magneto but Magneto would not be able to stand the gravitational force; Magneto doesn't know what is going to happen and asks Quicksilver what he's doing: "Whiplash." Perhaps you recognized J.K. Simmons, the nice man from the Farmers Insurance commercials, which might be the reason he was cast in this role: being used to seeing him in such a placid, happy-go-lucky-helpful role, his violent behavior in this role is even more shocking and abrasive (this is an example of Reader Response criticism: film makers know we watch TV--even someone like myself who doesn't "watch TV," I still see TV, especially the commercials which seems to be all that is on) and by tapping into what film makers know we the viewers know, they can exploit that for some advantage in the film they are making, in this case, to take a usually pleasant actor and turn him into a monster so they transformation seems even bolder and even frightening. Now, we could look at this as Terrence Fletcher (Simmons) is "beating" Andrew Neyman (Miles Teller) the way he wants Andrew to beat the drums; symbolically, however, it might be more fruitful to see Fletcher as the "drum set" and Andrew as the "beater." 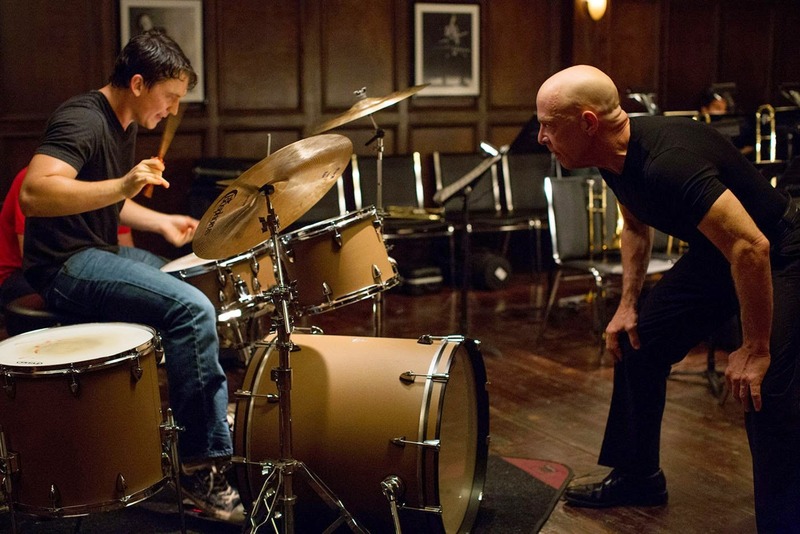 Each time Andrew fails to play the right notes, the "instrument of perfection," Fletcher, bangs out a response like the beat of the drum, in other words, Fletcher as a teacher is the instrument of Andrew's perfection, because Fletcher doesn't get anything out of abusing Andrew but Andrew, if he chooses, will get everything out of the beating Fletcher gives him. Here is the proof: look at what they are wearing. Don't read the next line, stop and look at the picture and see what they are wearing and pull what you know from what you have read in the past and try to make an analysis based on their clothing,..... Okay, Fletcher wears all black, including his shoes and socks; why? Black is the color of death: you can die to the spirit and live in the world for pleasure, or you can die to the world and its pleasures and live in the spirit and gain the life of the spirit; everything about Fletcher, even his bald head (symbolic of no thoughts, no thoughts of anything but music, we might deduce), symbolizes DEATH, and it's because he has gone through dying to the world that he can, like Charon the Ferryman of the River Styx, ferry others across to the other side and artistic immortality. What does Andrew wear? His shirt is black, so Andrew has started the painful process of death-to-the-world (like breaking up with his girlfriend) but he has only started the journey. He wears blue jeans (instead of black, white or khaki pants) so blue is the color of wisdom and the color of depression because the road to wisdom is burdened with sorrow and hardship; because the blue covers his legs, i.e., his "standing" in the class and with Fletcher (his reputation), Andrew experiences a lack of respect from his band-mates, maybe even bullying? On Andrew's feet, however, are tennis shoes, which are athletic shoes, meaning, he is ready to "run the race," to go through what he has to in order to reach his goal and attain the prize. 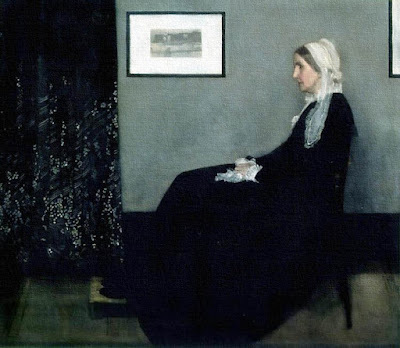 On a different "note," ha ha, you might have recognized another famous actor at about the one minute point: Paul Reiser (Mad About You, also TV). Like applying Reader Response theory above, those who know Reiser's characters know he tends to play a soft guy, kind of a liberal male who is a wimp (he's likeable, but kind of a wimp). There will be a point when Andrew will have to choose between his "soft-hearted father" sticking up for him, and Fletcher also sticking up for him, but with a heavy hand and a great deal of true, but "tough love" that Fletcher himself has undoubtedly experienced. This is a timely film because we ourselves, as a nation, are having to make the same decisions. Two artistic devices were used in X-Men Days Of Future Past to communicate the importance of Whiplash to us: first, there was redundancy. Redundancy itself, the same thing happening over and over and over again, is actually the absence of information: what is going to happen is an accurate reflection of what just happened, so there is nothing new or exciting to look forward to; usually, when redundancy is broken--what you expect to happen suddenly doesn't happen--that's where the information and excitement comes in. In X-Men, however, it's that there is redundancy which conveys information (I would have missed it had Quicksilver said it only once); in this case, because the character took the time to say it again, the importance he places on it means we, too, should place importance on it. The second device employed is the opposite behavior. Quicksilver does everything super-humanly fast so that he does something slow--his exact opposite characteristic is introduced--also highlights this scene as requiring our further attention. But, ultimately, the question, as usual, is, why? Just tweeted today by director Zack Snyder, this is our first image of Gal Gadot (Fast and Furious 6) as Wonder Woman for Batman v Superman: Dawn of Justice. At first look I was like,... what? 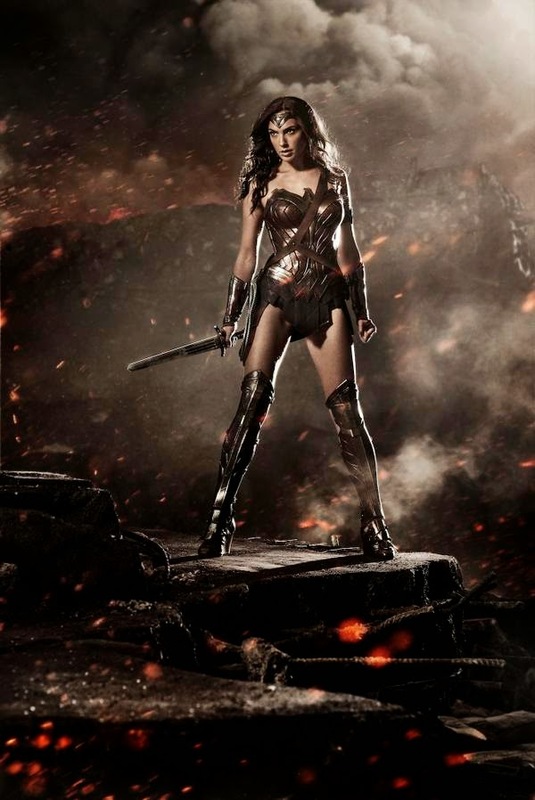 She looks more like the Queen of the Amazons than Wonder Woman, I mean, where is the colors of America? But, having seen Whiplash--I know this is going to sound strange--and the antiquated sword she holds in this image--I couldn't help but think of Sparta, and how, in Whiplash, Fletcher is doing to Andrew what the Spartans did to their sons and citizens, and Gadot looks like a Spartan warrior, even with her shin-guards on. Again, just as we are the "informed readers" for the release of the Whiplash trailer because we saw X-Men, we are also the informed viewers of the new Wonder Woman outfit because we have seen 300 and 300 Rise Of An Empire: we know that Sparta has been resurrected as a metaphor for capitalism and freedom (from government dependency) in America. We understand the "tough love" of the Agoge training in ancient Sparta because capitalism functions the same way: we are allowed to fail so we learn out lessons. It's not, then, that the new Wonder Woman outfit forgets America, but remembers Sparta.